If you have an older HVAC system, it may be time to upgrade so you can be sure you're getting the comfort you need from your home. It's important to keep up with your HVAC system's care and maintenance to make sure you never have to suffer the discomforts of a sweltering summer afternoon or freezing winter night. Established in 2006, Modernize has been helping homeowners like you for over 10 years. 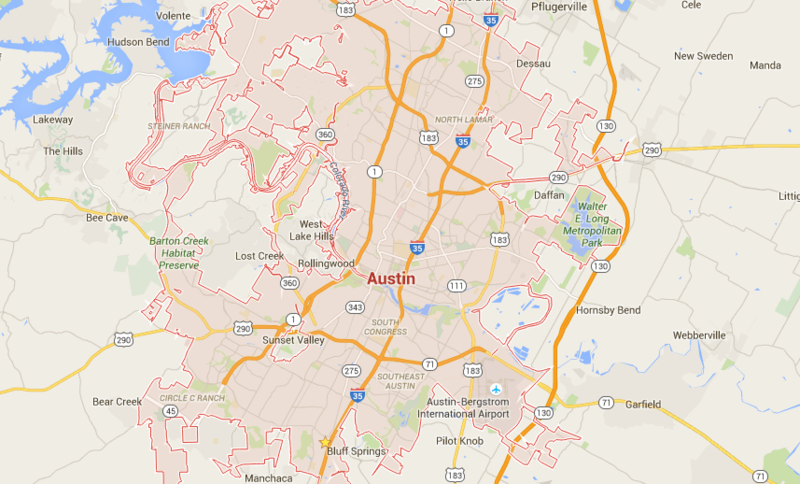 Let us help you find HVAC in Austin, TX. We love helping homeowners compare the most trusted local cooling and HVAC unit contractors in their area. It is always smart to compare at least four different price quotes from contractors to make sure you are getting the best local prices on installation services. Search our list of trusted contractors in your area today! Get free quotes from the best hvac repair contractors in Austin, TX, ready to complete your project. Purchasing an HVAC system is a major investment requiring thoughtful consideration. The information in this article will help guide you through the initial process, such as hiring a contractor, and the steps necessary to help get you started in the right direction. HVAC or mechanical installation and repair require a permit in Austin, Texas. Your HVAC contractor or air conditioning and Heating Company are responsible for pulling the required permits. However, you can visit the City of Austin Development Services Department website for HVAC permit information and requirements. Their physical address is Development Services Department, One Texas Center, 505 Barton Springs Road 78704 phone 512-978-4000. A crucial step when installing a new HVAC system is hiring a contractor. Your contractor is responsible for determining the type of system best suited for your property as well as its capacity. The contractor will also control the quality of the HVAC installation. Your contractor will carry more weight regarding your overall satisfaction than the brand of equipment you choose. Before committing to an HVAC contractor, verify that their license is current and check with local governing agencies or the Better Business Bureau about any disciplinary actions or complaints. If you are updating an existing system or installing HVAC for the first time, it is important to receive at least three estimates from reputable HVAC contractors. The right contractor will evaluate your home to determine the size and type of system you need while keeping you informed at every stage of the project. Be prepared when meeting with the HVAC contractors or sales representative by asking these important questions. What size system do I need, and what calculation did you base it on? What is the condition of my ductwork and will the new system adapt? Can you provide proof of insurance and verification of an HVAC license? What systems offer the most energy efficiency and are best suited for my home? What is the Seasonal Energy Efficiency Rating (SEER) of the equipment you plan to install? Are you responsible for the permit and is it included in my estimate? How long is the warranty period for the equipment and does it include labor? Are there any rebates or tax credits available for my new system? Does your company offer financing and what are the terms? What brands do you offer and are there better options? Will you provide me with a written estimate detailing the entire scope of the work including labor, materials and permits? HVAC systems and their related equipment are available in many types, sizes, and configurations. Although your contractor should provide you with available options suited for your home, the list below will introduce you to the most common types used in residential applications. Split system AC units are the most common types used in residential applications. Its main components are an outdoor condensing unit and an indoor air handler. These systems are gaining in popularity due to their easy installation and the added benefit of zone control. Ductless air conditioning systems have mini splits that utilize both indoor and outdoor components but do not require ductwork, which makes this system ideal in small spaces. Packaged HVAC systems provide all of the necessary HVAC components in one cabinet located on the property’s exterior and are suitable for both new and existing ductwork. Heat pumps are high-efficiency systems capable of both cooling and heating your home. Although they will cost you more upfront, energy savings usually pay for the additional costs within five years. HVAC professionals refer to the exterior walls and roof of your house as the envelope. It plays an important role in the efficiency and performance of your HVAC system. To get the most out of your new HVAC system, consider addressing this area of your home’s energy efficiency before installing the system. An energy efficiency professional can analyze your home to determine areas that may require attention. It could be as simple as upgrading insulation to more advanced measures such as pressurizing your home to identify energy leaks around windows and doors. Many electric utility companies offer free home energy audits or subsidizing rebates that can help defray the costs of home energy audits. Significant savings may be available to you through special rebates and tax incentives. Manufacturers as well as federal and state government agencies offer these incentives to promote home and business energy efficiency. Visit the Database of State Incentives for Renewables & Efficiency (DSIRE) to view a comprehensive list of incentive programs by state or visit this site to learn about valuable government rebates and tax credits.